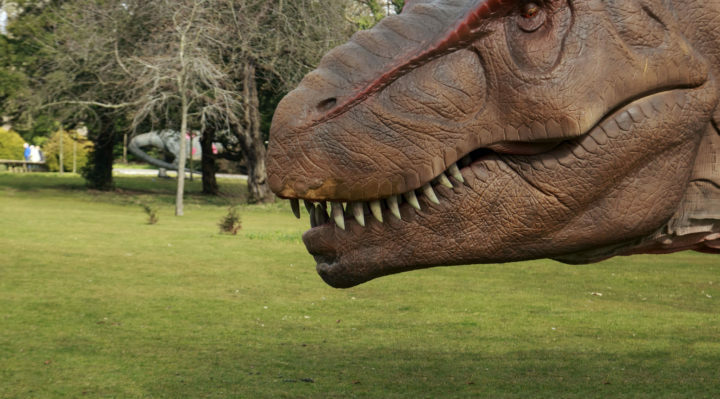 Jurassic Kingdom, is a spectacular outdoor dinosaur experience aimed at family audiences with over 30 impressive installations of animated dinosaurs with electronic moving parts. 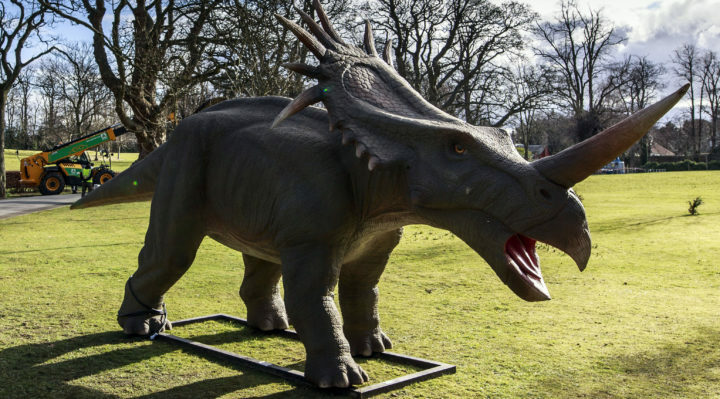 The huge stars of the show, which runs until April 15 at Lauriston Castle, include an 18m high T-Rex and a 16m long Diplodocus. Animatronics include arms moving up and down, tails swaying side-to-side, heads moving up and down, eyes blinking and jaws opening wide with roaring sound effects. 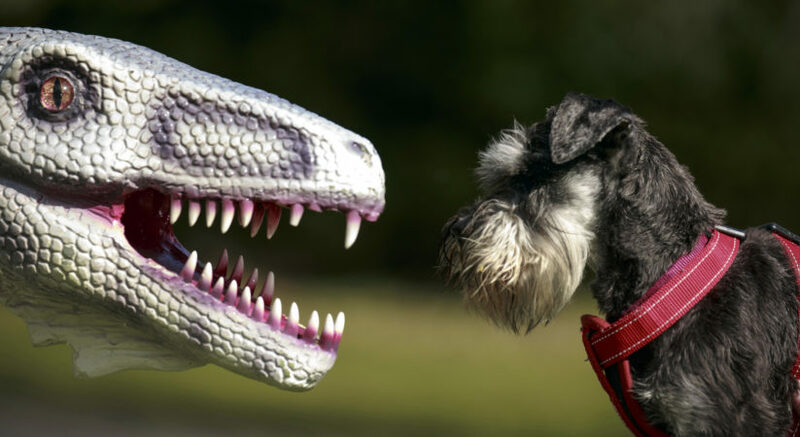 Visitors will explore the gardens and parklands and uncover epic life-sized replica dinosaurs from everybody’s favourite, Tyrannosaurus Rex and Triceratops to flying reptiles like pterosaurs. 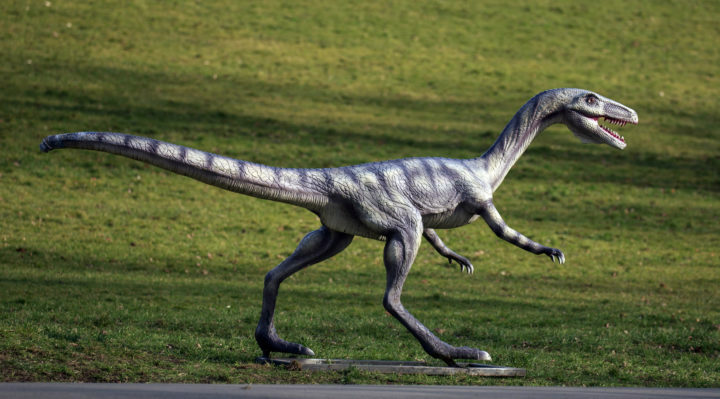 Children will be in awe of these animatronic dinosaurs as they blend into the paths, ponds, gardens, woodlands and greenery of the parks. Along the Jurassic Kingdom route will be an education marquee for school groups and families to enter and watch educational documentaries about dinosaurs produced by the BBC on a large projection screen. 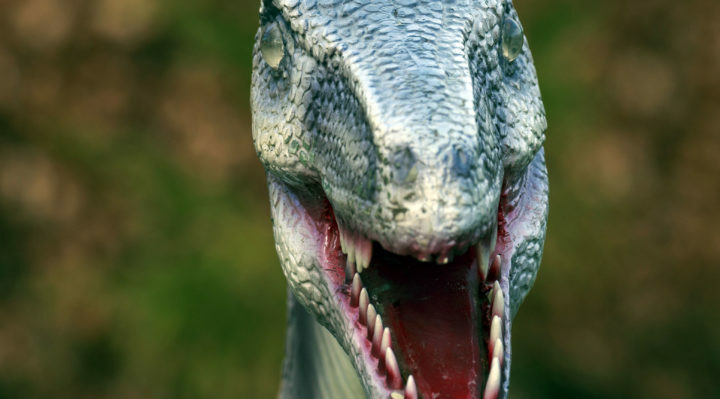 Children and adults alike will enjoy a 30-min viewing experience and learn more in-depth information about how dinosaurs lived, millions of years ago. 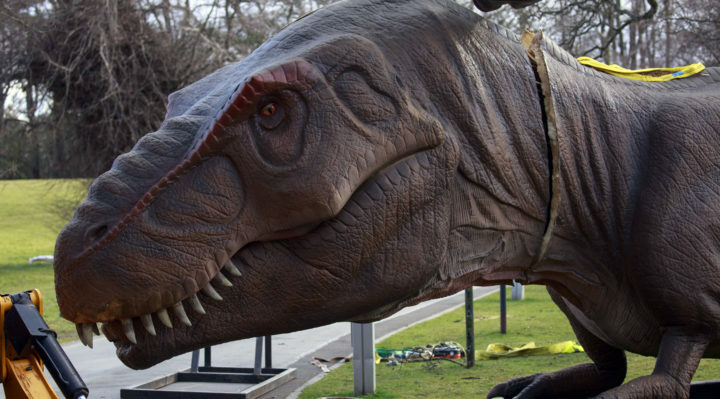 The festival also has a handful of street food and drink vendors to keep visitors fed and watered as they wander through Jurassic Kingdom. The event is open daily from 10am to 6pm with last entry at 5pm.